Wear resistant rubber ceramic liners are used to offer higher wear and impact protection. > High wear and abrasion resistance. > Long wear life, low maintenance and downtime. 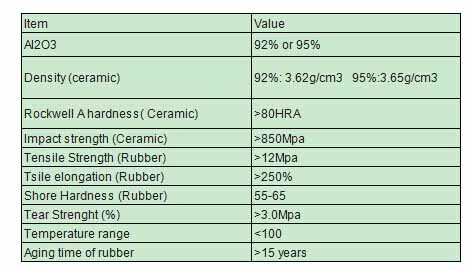 1. combine energy absorbing rubber and excellent abrasion resistant high alumina ceramic, suitable for high wear and impact applications. 2. custom shape and size to meest your specific requirements, standard liners and non-standard ones are all available. 4. manufacturer with rich experience, good bond between rubber and ceramic, ceramics stay in place until completely worn. 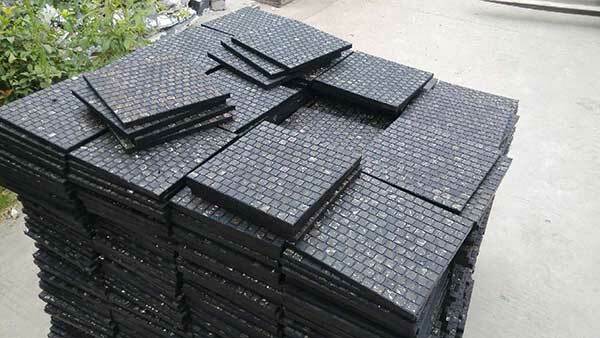 5. wide range of rubber ceramic wear plates to meet your different requirements. 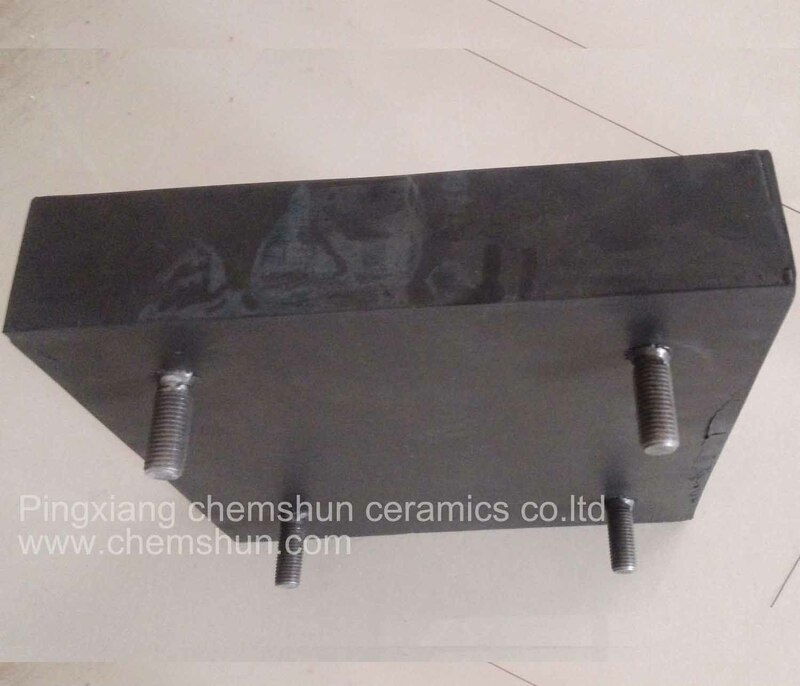 Wear Resistant Ceramic Rubber Composite Liner ( Rubber Ceramic Panels ) is made by a combination of wear resistant alumina ceramics (cylinders ,hexagon , plates) vulcanized in resistant rubber base, some rubber plates can selectively with steel backing. Ceramic hex.tile, ceramic square tile, ceramic bricks are available from 10x 10 mm to 100 x 150 mm; thickness from 2 mm to 50 mm. 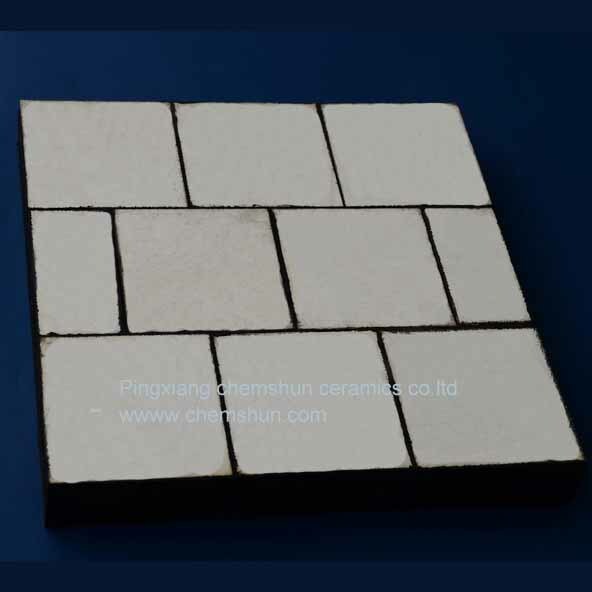 Chemshun popular wear ceramic rubber panel including: Panel With Dimple Ceramic; Panel With Hex. Ceramic; Panel With Cylinder Ceramic. 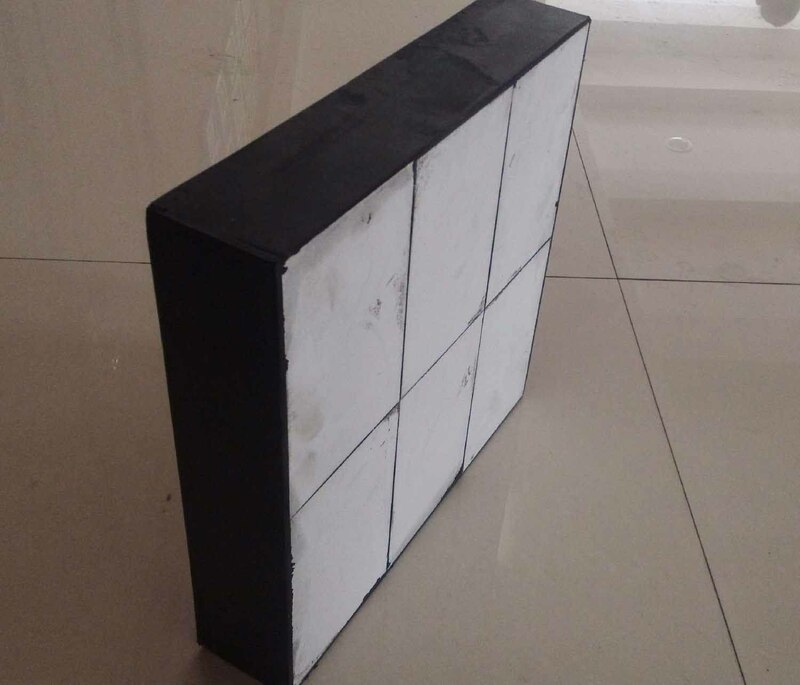 The wear resistance ceramic rubber wear panel usuanal including: metal+rubber+ceramic / rubber+ceramic, and the surface is plain surface or spherical surface. The steel bolt also available upon application requirement.